installation) by 17 degrees. 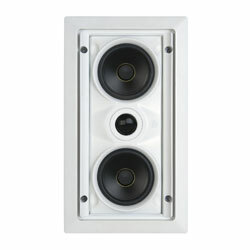 The pivoting tweeters can be angled an additional 30 degrees. recessed behind a flush-mounted grille. 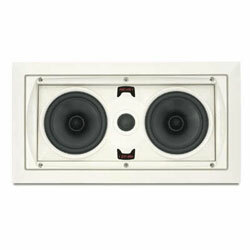 one of the most exceptional loudspeakers ever. and at the exact same price. 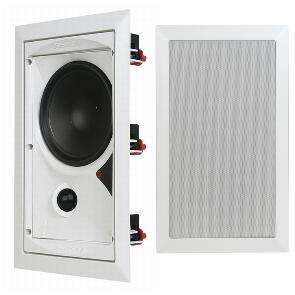 Wall Cut-Out Dimensions: (H x W) 12 3/4" x 8 1/16"
to allow the installer to focus the sound toward the listening area. with the amount of sound these diminutive little speakers can produce. 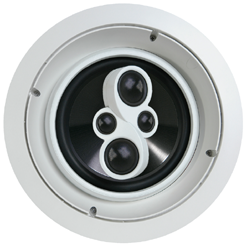 A unique dual mid-tweeter module is mounted directly over the woofer. 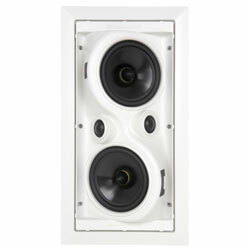 Two 2-inch dome midrange drivers. 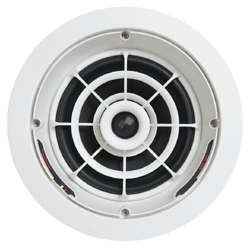 Two 1-inch dome tweeters facing 70 degrees off access from each other.